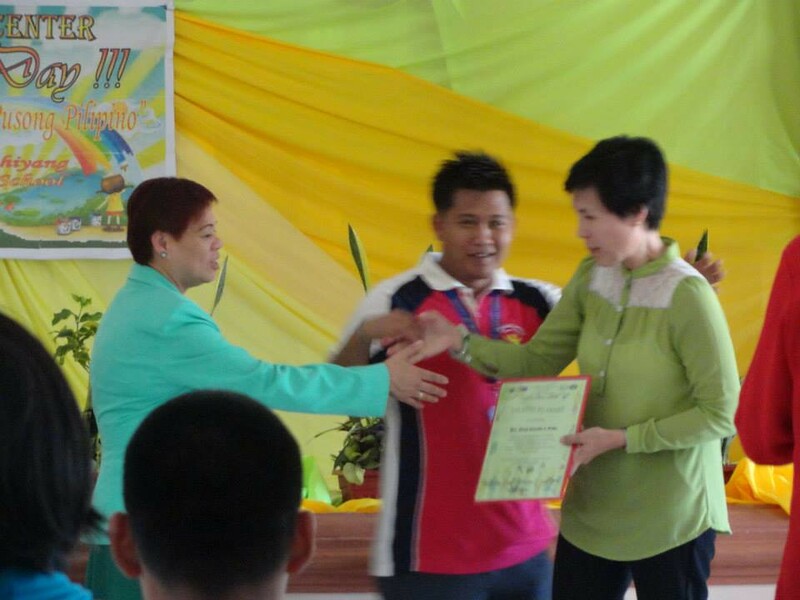 The Recognition Day of Alfonso Sped Center was held at the Tanghalang Sanghiyang Alfonso Central School, Alfonso Cavite last 14 March 2014. Hon. Mayor Virgilio P. Varias, SB Member Hon. Carolina L. Rivera, Hon. Madonna M, Pel, District Supervisor Mrs. Milagros H. Norcio, Principal Mrs. Nancy S. Marasigan, MSWD/PWD Coordinator Mrs. Jasper Alcedo, PDAO President Abelardo Cordenete were present as ASP Alfonso Chapter President Mrs.Jeanette Vidallon led the participants in the 1Pangako pledge. The Autism Society Philippines National Office, represented by ASP President Jan Peña, was given recognition for its continued support to Alfonso SPED Center and to ASP Alfonso Chapter. The Municipality of Alfonso was site of the 2013 summer camp of the Kamp Pagkakaisa Volunteers Inc., where ASP provided invaluable support. ASP Alfonso Chapter also recently hosted the latest showing of the film documentary ALYANA, in partnership with Cavite State University, Indang, Cavite.